Representatives for Tonara have contacted me a number of times about the Woflie app for iPad, which is by Tonara. Tonara is an app that follows you as you play, turning pages. Literature can be bought via in-app purchases. 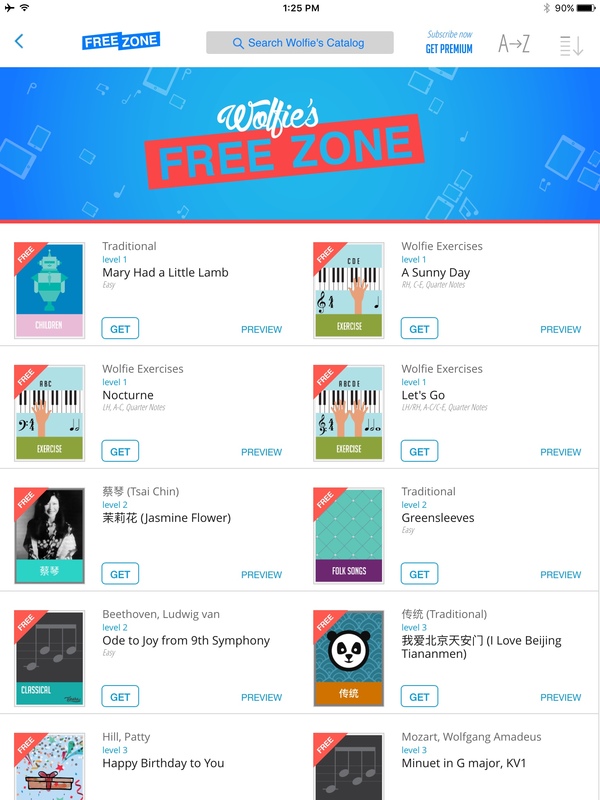 Wolfie is geared for piano teachers and students, offering subscription based access to literature ($2.99 a week, $8.99 a month). 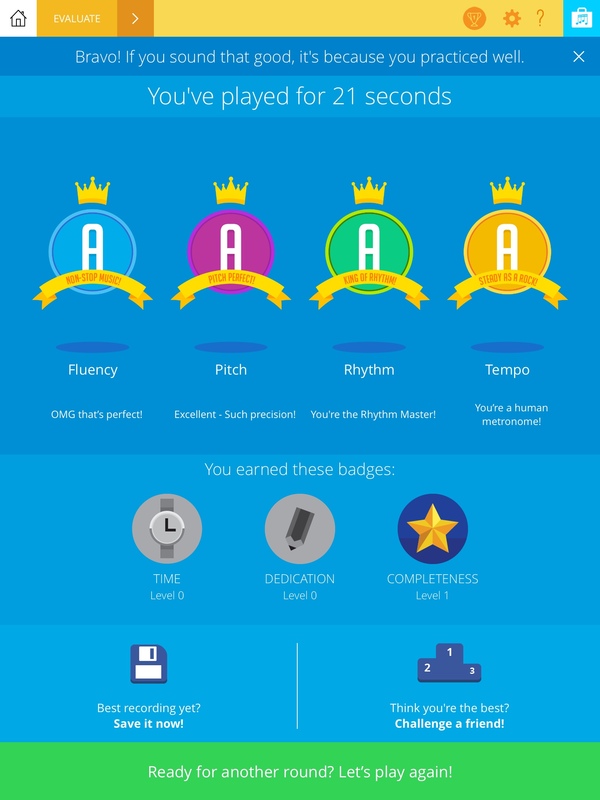 I have blogged about a few other piano apps in the past (Piano Maestro and Flowkey, for example). While piano goes out of my normal sphere of influence for this blog (as the focus is generally on technology for classroom-based music education), some users may find the app of interest. The download of Wolfie is free, and there are a number of resources that are given free to the user. 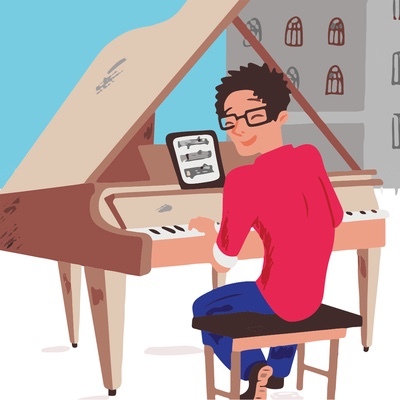 The app is intended to be played with a live piano. There are a number of settings, such as practice, listening (with linked YouTube examples), evaluation, and more. There are levels of gameification, which has the potential to spark more user interest in the app. If you teach piano or know a student that is learning piano, Wolfie is worth examining. Download the app and try the free content. 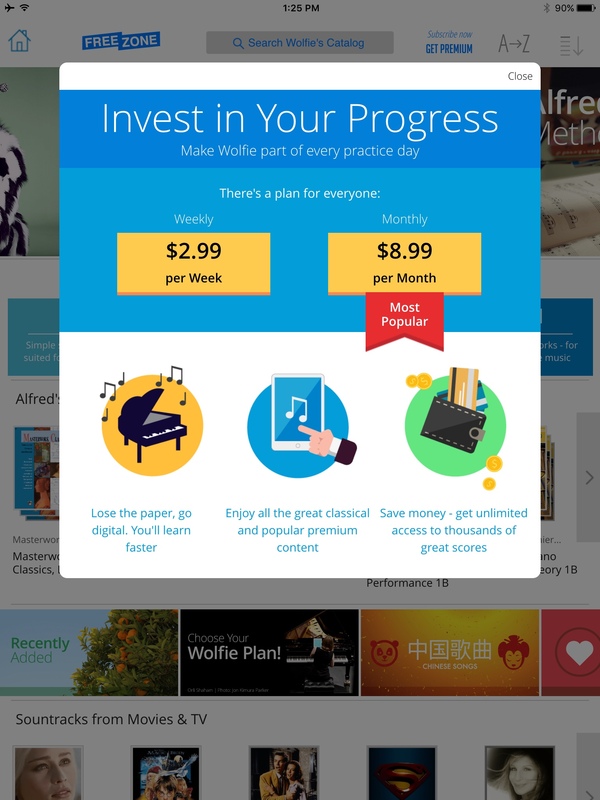 I can't speak to the pricing for the “premium” subscription–you wil have to decide for yourself if the content warrants $9 a month ($108 a year). I worry about subscription plans for any app–they can add up quickly for a user, and materials you use aren't yours to keep. That said, these companies need ways to keep developing apps and to pay the bills. And if you are a piano player, check out Tonara, too. When is the last time you bought something on a whim, and you were happy that you did so? Several months ago, one of the projects I was backing on a crowdfunding site (I can't remember if it was a Kickstarter or Indiegogo project) sent out an e-mail recommending another project, the mi.1. 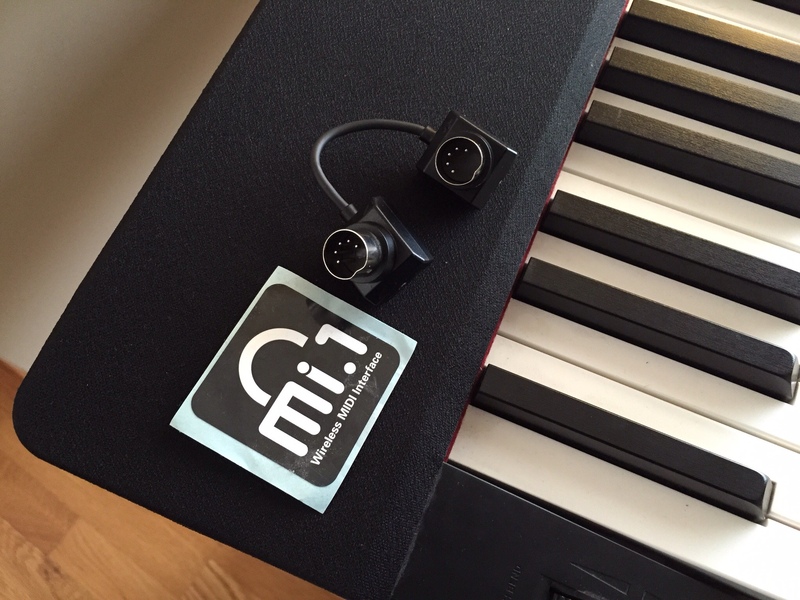 The mi.1, if you look at its Indiegogo page or company website (Quicco Sound), is a small device that plugs into existing keyboards, creating a wireless MIDI interface between the keyboard and an iPad. The “cost” of backing was $35 at the time, and I figured that I couldn't go wrong backing the device. That device shipped out in October, but some issues with the required app for the device kept the company from releasing the app until this week. Now the mi.1 connect app is available on the App Store, and I can finally use my mi.1. The mi.1 uses Bluetooth LE to connect your keyboard and your iPad (or iPhone). This was the first time I have used Bluetooth LE, and I'm a bit surpised by it. You don't turn anything on in your Settings…the devices simply talk to each other. I'm a little concerned that some harmful things could be transmitted in such a way (not from the mi.1, but from other Bluetooth LE “senders” out in public), but all the old frustrations of Bluetooth pairing are gone. The first time you connect the mi.1, you are asked to open the mi.1 app, connect to the device, turn Bluetooth off and then back on, and then update the firmware of the mi.1. This is a twenty second process, and you're good to go. My initial attempts to use the mi.1 with notation software on my iPad failed, but later attempts were successful (I have been using Notion for most of this testing). The video I created shows me entering notes through my keyboard via the mi.1 to Notion. Latency seems to be good…and it seems slightly faster (i.e. “normal” to send data to the iPad than it does to send data from the iPad to keyboard. I haven't figured out how to make Notion (on the iPad) play back via the mi.1/keyboard. In 2009, we built a new high school with an embedded seventeen seat MIDI Lab. Every computer had a M-Audio Keystation plus a microphone for each keyboard. These computers (and the furniture in the room) were eventually removed to put computers in every practice room as well as the rehearsal rooms, and the keyboards were distributed throughout the district to teachers who needed them. The keyboards were not Core-MIDI compliant and would not work with iPads. (Interestingly, with the termination of Windows XP support, the computers themselves are no longer useable, and the iPads we purchased while I was at that school are now the only way for students to use SmartMusic in the practice rooms. I would have not expected that sequence of events). The mi.1 changes the usefulness of those keyboards–and all other non-Core MIDI compliant keyboards, plus it gives you a way to connect a keyboard to your iPad without any MIDI cables. I am not sure what the street price of the mi.1 will be, but if the device is priced less than $50, it will be a cheaper solution than the purchase of a dedicated Lightning to USB Camera Kit adapter and a Lightning cable, and it already is cheaper than most MIDI box solutions (iPad or otherwise). At the moment, the mi.1 cannot work with a Mac, but I see no reason why it could not do so eventually. There is one other item of great promise…Apple included MIDI over Bluetooth LE as a core component of iOS 8 (and I would be willing to bet that it is hiding in Yosemite as well). The mi.1, in a future update, will be able to connect directly to your iPad without the need for the mi.1 app, directly through MIDI via Bluetooth LE. The company is from Japan, so communication from the company, both on the website and in materials provided by the company, is a little awkward in English. You can tell that the translators are not fluent English speakers, and Google Translate may even be in play. The company would be well-suited to hire some English experts (or even a British, Australian, Canadian, or American team) to re-work all communications intended for English settings. Although the company missed its deadlines and had some issues with their app before releasing the app, they were much closer to reaching their Indiegogo deadline than other items I have backed. Documentation with the device was limited; some people need much more detailed instructions–even for a product that is simple. I don't have the equipment to test latency…which I imagine will improve as the device can accept input from the mi.1 without the middle-man app. There is a coming update that will allow you to attach to multiple mi.1 units! I, of course, focus on music notation apps as a music educator. I would imagine that this device would be very exciting for iOS musicians. For example, it works with GarageBand. The device isn't available yet for purchase…but when it is, it is worth a purchase if you plan to use your iPad with a keyboard that has traditional MIDI connections. Those connections are 30 years old…and this device makes them relevant again. I didn't think this $35 crowdfunded device would have much of an impact on my life…I think I was wrong. It may be the best $35 I have spent for a while.